The Citizen Centre Bennohaus, Arbeitskreis Ostviertel Association (AKO) is a socio-cultural, cultural and educational, media pedagogical, multidisciplinary and cross-generational, open meeting place and a district community centre. It is a home for teaching media literacy and the qualification of citizens with skills of all kind. With its offers it appeals to citizens of all ages, beliefs and social classes, especially children, youths, seniors and immigrants, and inter alia concentrates on media work and education. Since over 10 years, the AKO (together with the European Youth4Media Network Association that is also located in the Bennohaus) has a lot of experience in (cross-)media education, conveying ICT skills and international youth projects (small and large scale). This association is legally and economically accountable for the citizen centre. The AKO is recognized in child and youth welfare in accordance with §75 KJHG (the German Child and Youth Welfare Act). 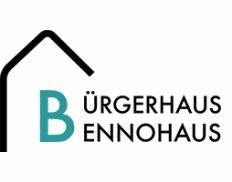 The Bennohaus possesses long – time experiences in European project work considering the fields of ICT- and media competence intercession. The new technologies (internet, video, audio) are implanted within youths as tools for intercultural and political education. Our youth-encounter activities are characterized by the involvement of young people in a democratic civil society, facilitating the transparency of democracy on a European level. The Bennohaus boosts the co-determination, participation, communication and media competences, especially of youths. The education of trainers / young multipliers and the exchange of youth workers plus the realization of innovative media pedagogical concepts are just some of the other key activities. Lobby work and the creation of structures for youth work and the broadcasting of youth media products via TV channels and web-TV on a EU level are also important issues.